W.Bro. 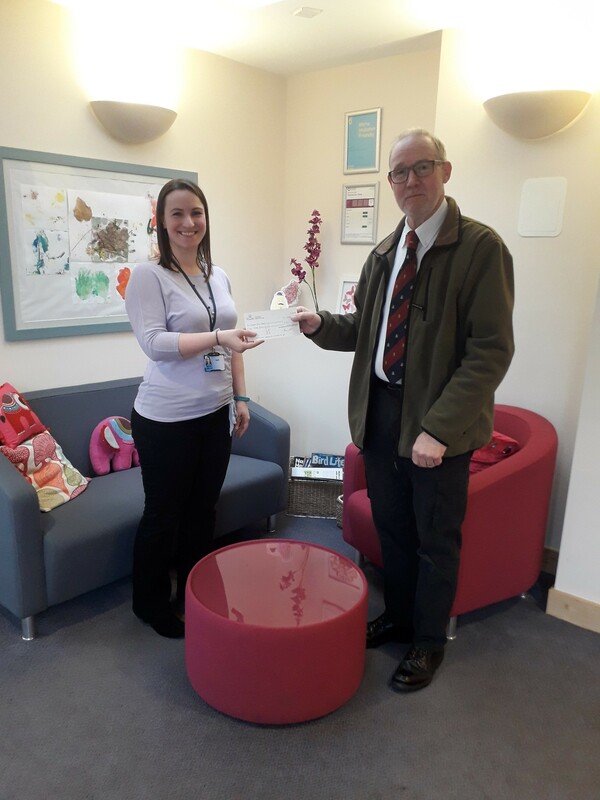 Peter Edwards presents a cheque for £200 on the 11th January 2018, on behalf of the Middlesex Home Service Lodge and the Middlesex Province Relief Fund, to the Shooting Star Chase Hospice in Twickenham. Bro. 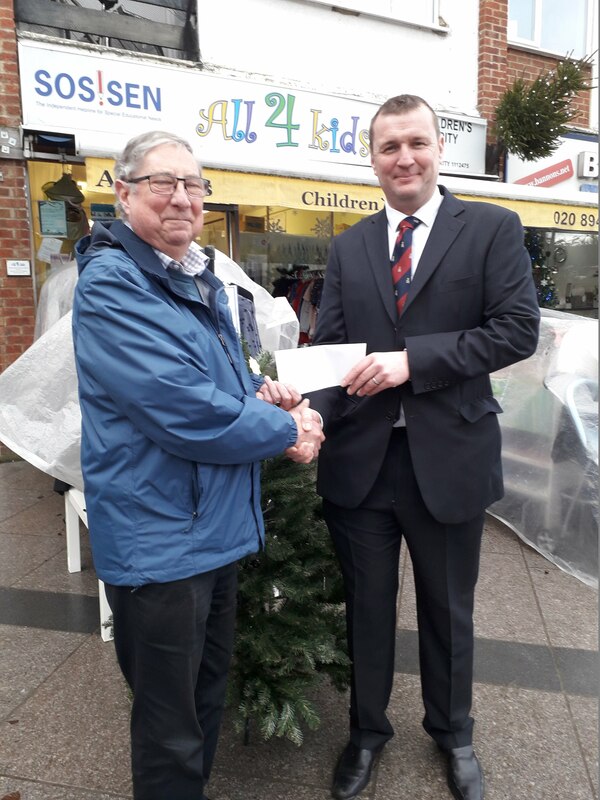 Stephen McGhie presents a cheque for £200 on the 22nd December 2017, on behalf of the Middlesex Home Service Lodge and the Middlesex Province Relief Fund, to Martin Dean of SOS!SEN at their shop at Hampton Hill. W.Bro. 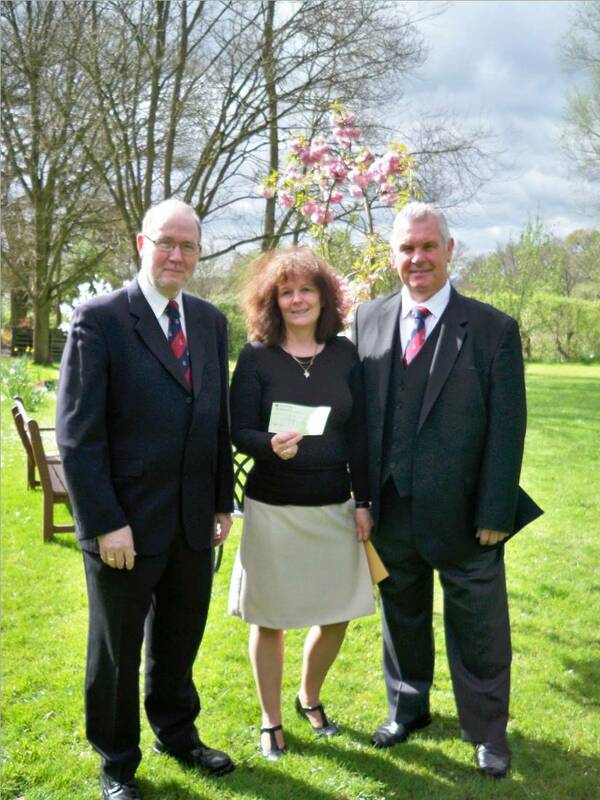 Kim Carnague presents a cheque for £800 on the 7th May 2014, on behalf of the Middlesex Home Service Lodge, to Trish Mulé at the Michael Sobell Hospice in Northwood. On the 12th April 2013, as part of the 2013 Middlesex Province Relief Fund 10th Anniversary and Diamond Jubilee Celebrations, Worshipful Master W.Bro. Kim Carnague and W.Bro. Peter Edwards of the Middlesex Home Service Lodge No.5836, with Brethren from Temple of Uxbridge Lodge No.7660, Uxbridge Lodge No.7066, Northwood Lodge No.4994 and Herga Lodge No.2548 each presented cheques of £500, totaling £2500, to the Michael Sobell Hospice in Mount Vernon Hospital, Northwood. 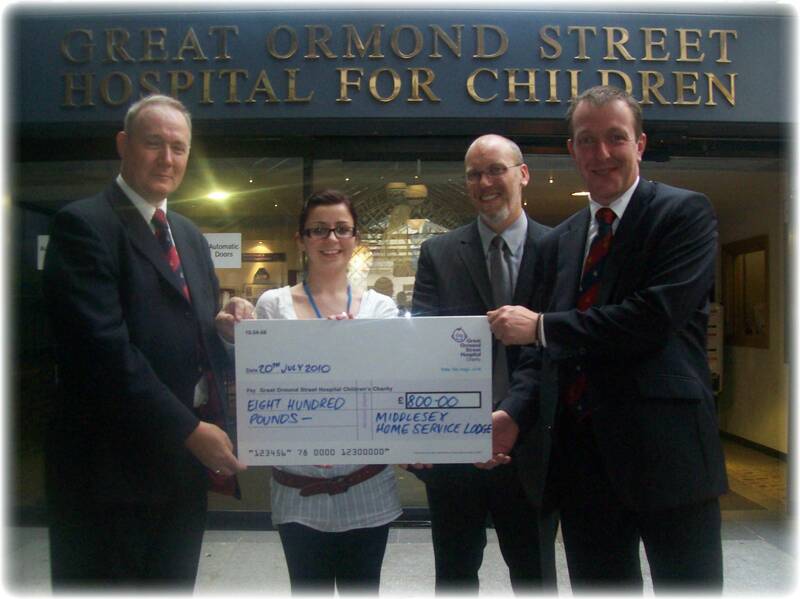 Great Ormond Street Hospital has been supported as a non masonic charity by the Middlesex Home Service Lodge since 2010, when the Lodge, under the Mastership of W.Bro. Clive Cohen, donated £800 toward their major rebuilding programme which is projected to cost in excess of £50M. 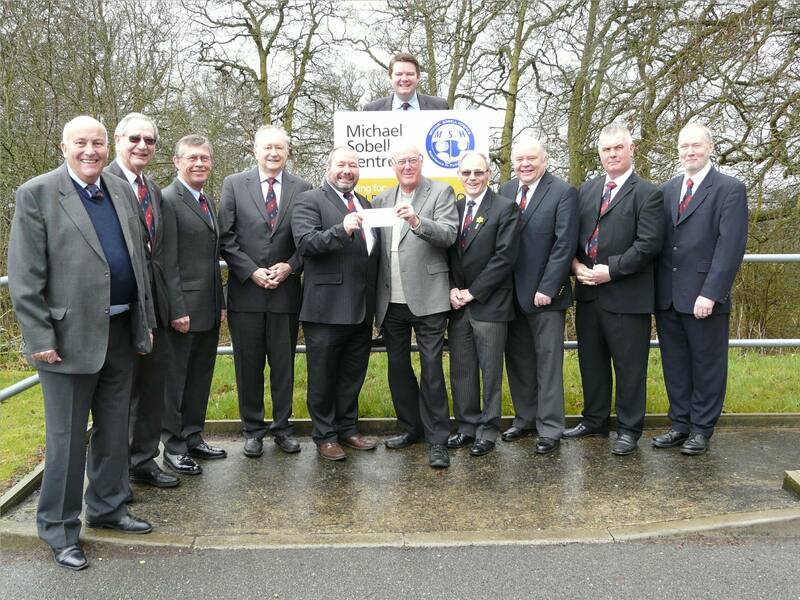 The money was presented to the hospital on the 20th July 2010 on behalf of W.Bro. Clive Cohen by W.Bro. Peter Edwards (Asst.Sec. ), W.Bro.Andrew Stephens (Treasurer) and W.Bro. Jim Mitchell (Charity Steward).